I occasionally write editorials to the paper on voting issues and they publish them as a guest column. After the successful challenge of the 57 voters on April 18, 2013, I was amazed at the article written by the reporter covering the event and wrote a column about what was not reported. The article specifically identifies critical information left out. For instance the reporter, Jon Hawley, wrote that Shanay Thomas appeared with counsel and asked to have her name removed from the voter roles. What he failed to include was that Ms. Thomas, under oath, admitted to voting in Pasquotank County, NC during the November 2012 elections; when she was in fact living in and a resident of Portsmouth, VA.
For the first time, Michael Goodman questioned the facts that I presented in my editorial. He alluded to one sentence found on the Brennan Center for Justice, a think tank in NY. So I replied with information from case law and a further piece by the Brennan Center for Justice plus I invited Mike to share my editorial with Gary Bartlett, Director of the North Carolina State Board of Elections and Don Wright, General Counsel for the North Carolina State Board of Elections. I requested that they make any corrections to my article and Mike print the corrections to my article as a rebuttal from the North Carolina State Board of Elections. As of Friday April 26 he hasn't had time to look into it and the story cools. So I am publishiing our emails, and the information I provided and the editorial that I wrote. This is proof that the media isn't interested in educating our voters, only omitting relevant information that would help voters. Shame on you Daily Advance. While the press is all over the Voter ID battle in the legislature, when invited to a residency challenge that would uncover voter fraud, three television stations and three newspapers plus the AP failed to show an interest. Voter fraud is alive and well and remains a figmant of the right's imagination thanks to our free press. Is the Daily Advance Unwilling to Print the Truth? First, I am on record opposing Senate Bills 666,667, and 668 as bad bills for election. But I can say, that they are proposed because some feel that they can't fight voter fraud any other way. They can. Some laws are already in place to address the issues, they just need to be enforced while some laws need to be tweaked. 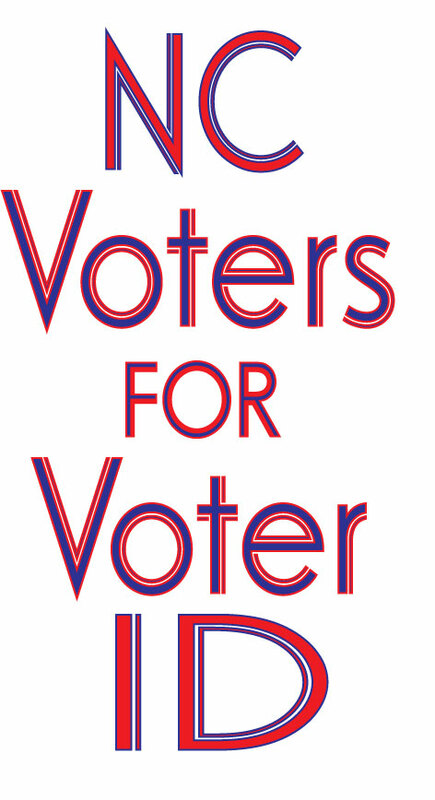 The Daily Advance is right in that the Voter ID law, as proposed, may not have prevented these voters from successfully voting at an address that they did not reside anymore. That is why we propose that the Voter ID bill be amended in the Senate to require the residential address of the voter be included in the law. Certainly the 57 cases in Pasquotank are a poster child for the need for the address to be on the Voter ID. The Daily Advance opines: "These former ECSU students still could have voted in the Pasquotank election, since the ID they would have presented at the polls would have shown them to be residents of the district where they were voting"
Really? Well we couldn't find them. Their mail was undeliverable. Of course some of their mail did get delivered, to Charlotte and Raleigh, obviously it was delivered to their domicile. A student ID is not dated and shows only your picture and name. The editorial also fails to mention that these voters had the opportunity,, on the day that they voted, to correct their new address. Yet they affirmed that they still resided at 1704 Weeksville Road, Elizabeth City, NC 27909, which made it VOTER FRAUD. Again, what the Daily Advance fails to address is the law. Their reporter ignored it, they are not publishing my editorial which explains it, and this editorial makes these challenges a reason not to have Voter ID. While the Daily Advance alludes to a Republican agenda to steal elections in their editorial, I can only surmise that the Editorial Staff of the Daily Advance had an opportunity to educate the voters of Pasquotank County and they pursued their own agenda in their reporting and opinions.